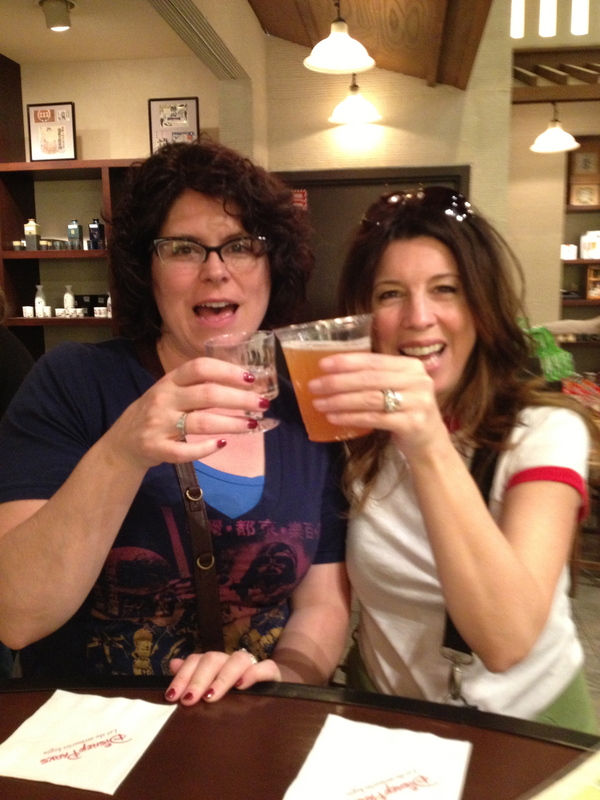 On our most recent trip to Walt Disney World, I was able to introduce my friend Tamara to one of my favorite spots in Epcot – the cute little sake bar in the back of Mitsukoshi in the Japan pavilion. Now, Tamara had been to Mitsukoshi several times before, but had never been able to venture any further than the Pokemon area in the front of the store. This time, we started at the back (which is the correct way to peruse Mitsukoshi, if you ask me). I had my favorite vintage sake (which you can see here). 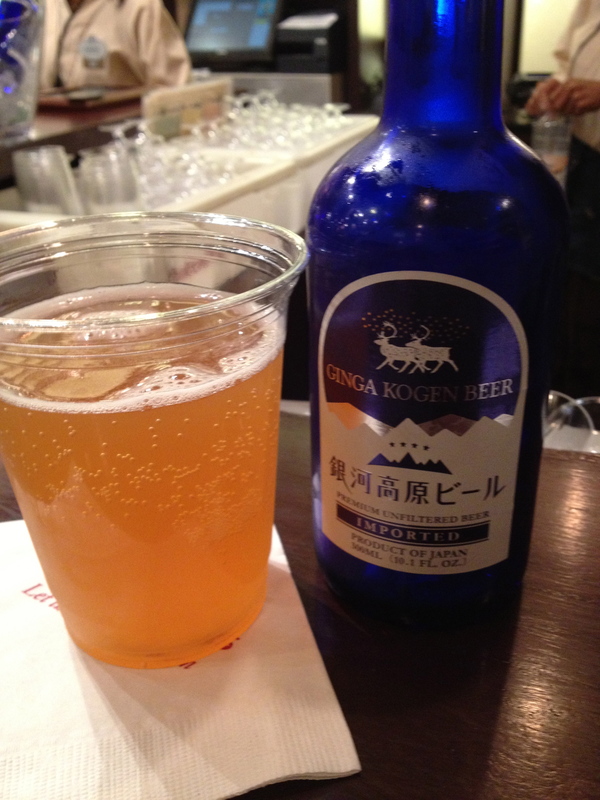 But this time they were offering something new – Ginga Kogen beer. Frankly, the bottle was so beautiful we had to try it. Plus, it’s a wheat beer, and both Tamara and I are big fans. For $10 a bottle, it had better be damned good. Seriously, the beer is as beautiful as the bottle! It was refreshing and crisp, with a light lemony-banana-clove flavor. Not quite as floral as a German hefeweizen, with more citrus notes. If I find this again, I’ll definitely order it. 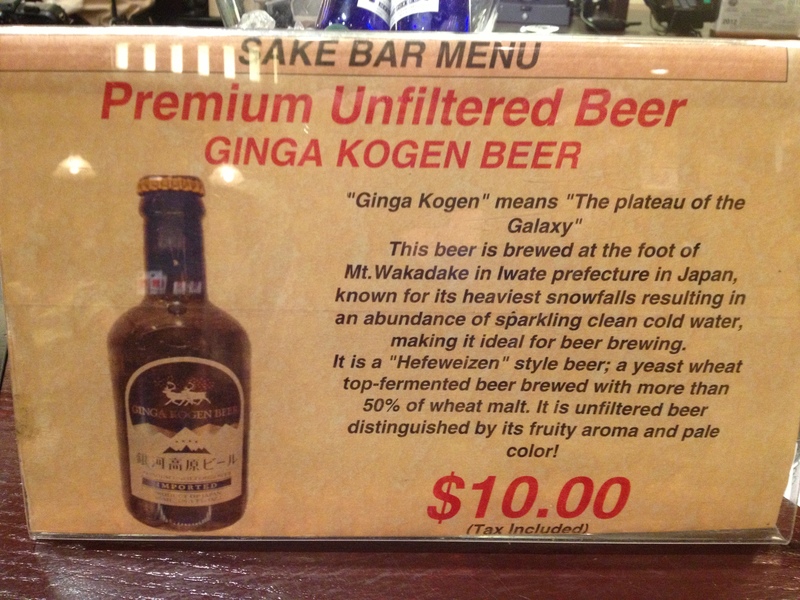 Have you tried the Ginga Kogen? What did you think? And thanks to Debs at Focused on the Magic for hosting today’s blog hop! What an awesome “G”! 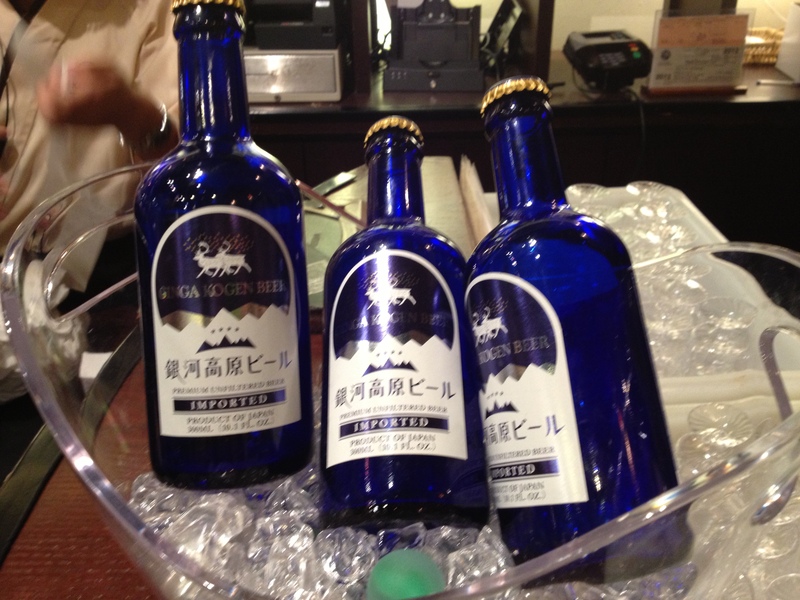 We just stumbled upon this sake bar last month–not literally;) I didn’t try the beer but drooled over the beautiful bottle!! Now that I know it’s good I’ll add it to my bucket list! Thanks so much for sharing and joining in on the DWW Blog Hop fun! Looks like someone had a fabulous time! Cheers!! What? Where? Didn’t even know it was back there! Amy, walk into the far back entrance to Mitsukoshi, near the anime exhibit. I love that area of the store – sake and sake serving sets, tea sets, and Japanese candy that goes on for days! Beth, this was my first trip to Disney with a friend instead of solo or family, and I have to say it was awesome. Have a great trip!